Africa’s largest retailer, the Shoprite Group, opened its second supermarket in Kenya on Thursday, 21 March 2019 at the Garden City Mall in Nairobi. With more than 2 700 stores in 15 African countries, the Shoprite Group’s business is built on the promise of lower prices. It is now looking to establish a firm presence in Kenya, a market with 33% formal retail penetration making it the continent’s second-biggest retail centre after South Africa, according to a Nielsen study. 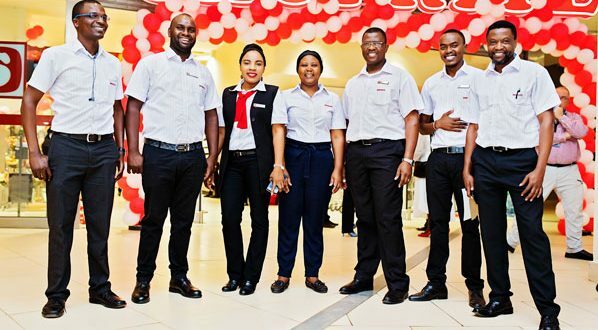 The Group opened its first Shoprite store in Kenya at the Westgate Mall in Nairobi in December 2018 and is looking to open a further two supermarkets (one in Mombasa and another in Nairobi) before the end of this year. The new 3 572m² Shoprite Garden City will cater for all customers’ daily, weekly and monthly food and household requirements. In addition to offering customers a convenient shopping experience, Shoprite also has a number of in-store fresh food departments including a Meat Market, Hot & Cold Foods Deli, Bakery and Fresh Fruit & Vegetables. Shoprite is committed to supporting Kenyan enterprises and to this end 100% of the supermarket chain’s extensive fresh produce selection is sourced locally. Shoprite Garden City is managed by experienced branch manager Kevin Waweru and the store’s trading hours are 09h00 – 21h00 from Mondays to Sundays.